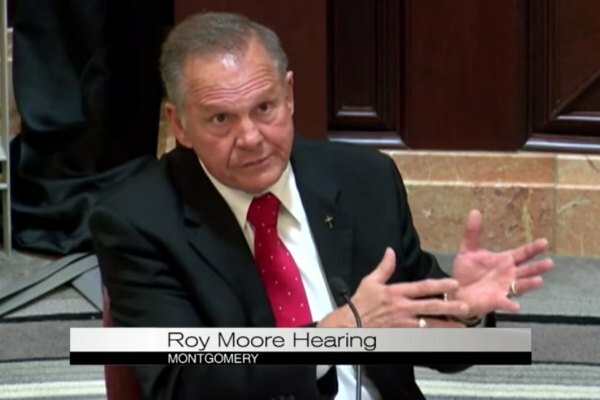 Republican Senate candidate Roy Moore on Friday called on Congress to impeach the Supreme Court justices who found in Obergefell that gay and lesbian couples have a constitutional right to marry. Moore, who last month won the GOP primary against Alabama Senator Luther Strange, despite President Donald Trump's backing of Strange, was the featured speaker at a Values Voter Summit (VVS) luncheon organized by the American Family Association's (AFA) political arm. The former Alabama Supreme Court chief justice was twice removed from his post for defying federal court orders that conflicted with his religious beliefs, including defying the Supreme Court on marriage equality. According to Right Wing Watch, those battles were depicted in heroic terms in a video that was shown before Moore spoke. Moore received a loud standing ovation for his remarks.